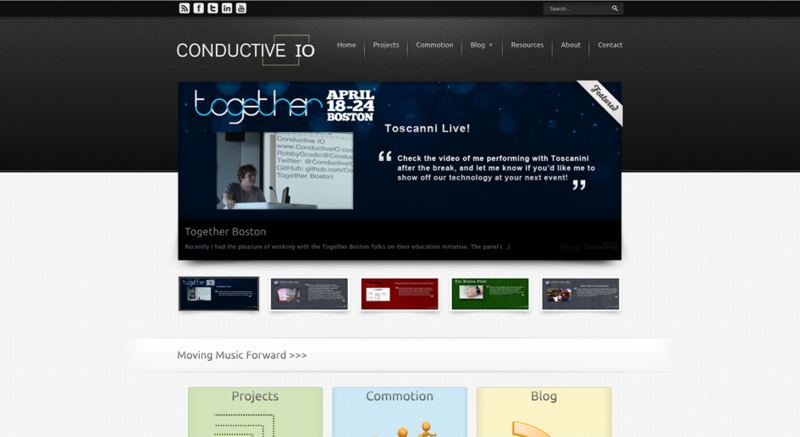 Conductive IO is a music technology company that provides an array of platforms that encourage development and collaboration in the spaces between music, technology, and motion-sensitive controls. Their stance on technology is that collaboration is key. Building a product that works is easy, but building a product that works for everyone is a true challenge. They are a Boston, MA Technology Startup with a mission to make music more fun than it has ever been. Their slogan Moving Music Forward is truly their goal, bringing new technologies into the world of music. Their main project is the Toscanini Interface, utilizing a music gestural device that uses your movements to generate or affect music.